Limo Hire Mount Eliza, what a beautiful place for a wedding celebration, set perfectly overlooking the Mornington Peninsula. 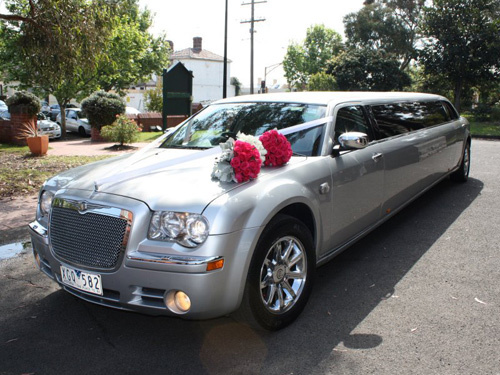 Travel to your venue in impeccable style, hire our 12 Seater Silver 300C Chrysler “Centre Jet Door” Stretch Limousine from My Limo Melbourne and arrive in perfect time for a flawless wedding day. For Limousine hire in Melbourne brides can count on My Limo Melbourne who have a proven record over Ten years of offering and delivering the best wedding Limousine service.